We lead, not follow. We create, not imitate. Poweramper Technology Corporation founded its semiconductor department in 1989. Exceeding beyond all expectations in the first years, its expansion was inevitable. 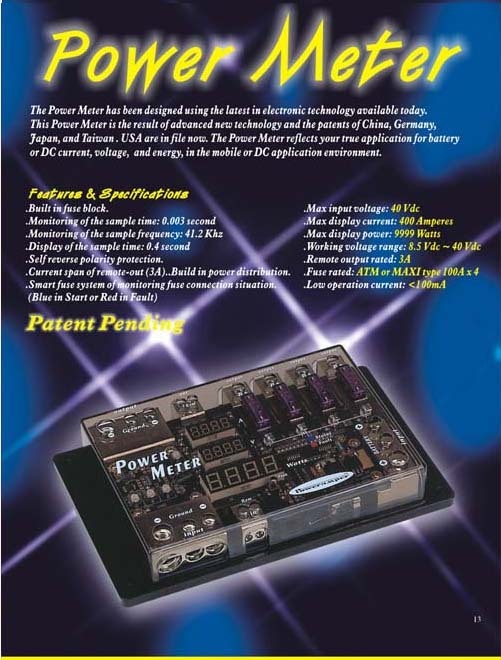 Poweramper Electronic Corporation was established in 1993. From its inception, all of our technicians have endeavored to design and create quality high-end car audio products for reputable companies around the world. Today, our manufacturing facilities produce a wide variety of ODM and OEM products for them. In 1995, the Poweramper brand name emerged into the car audio market, fulfilling its destiny. Our manufacturing facilities possess the leading technology in the car audio industry. This technology, combined with the finest components and the talent of our engineers, gives us the perfect recipe for building quality car audio products that rival those of the top names in the industry. The growing demand for Poweramper products in Europe and North America fueled the creation of Poweramper Industry Inc. in Winter Park, Florida. This US subsidiary, founded in 1996, functions as a sales and marketing hub, and also allows us to provide better service and lower prices to our North American customers. The US Poweramper line consists of several different series. The consumer grade, X-Sound Series has four amplifiers, three subwoofers, two component sets and six sizes of coaxials. The PA Series is made up of six, pure Class-A amplifiers designed for the high-end audiophile and SQ competitors. Our X-Power Series has two components sets and three types of amplifiers: two High-Current, two Class-D, and one Tube. X-Power also has six aluminum cone, long excursion subwoofers with an unbelievably huge surround, available in both single and dual voice coil. X-Power also has three digital and three non-digital capacitors. 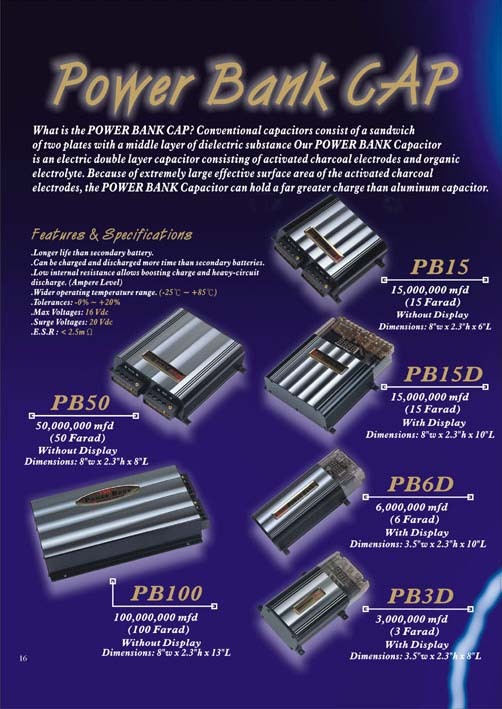 In Jan., 2001, Poweramper released the new Power Bank capacitors, capable of 1, 2, 3, 15, 25, 50 and 100 farads of capacitance.